- it's fully accountable and ubiquitous monetization, it's the Internet's 'free working capital', it's free to collect, has no interest or fees, and never needs to be paid back, ever! How Cloudfunds are earned How does The Placebo Effect work with Cloudfunds? How the bidding process works! What is Cloudfunding and how does it work? For the Digital Era to reshape how finance operates in real time, a new way in how individuals and businesses interact and exchange values is needed for Buyers and Sellers to connect Online to Offline - that's where the Global Chamber of Economies brings together all the players into a Scalable Digital Economy. The technology to support such an economic model needs sophisticated 'algorithmic economics' to track movement of micro values around the world in real time - and it needs a true value that can be accessed by everyone in real time. 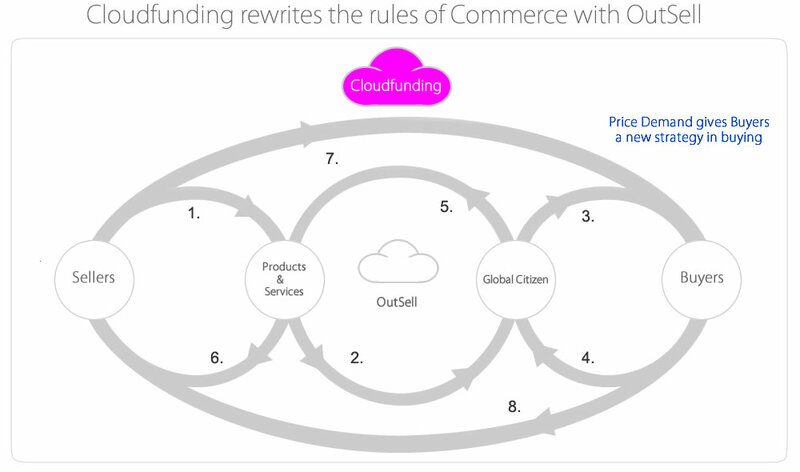 Cloudfunds is the neutral international economic trading unit of account value and Cloudfunding is the service that Users can earn Cloudfunds for free, and use in setting their strategy to win products and services, small bids are automatically added from a User's QwickPay account if there's a need to add bids in any of the 5 Call stages to keep a User from being eliminated. Open Market Merchants - OMMs are the driving force that delivers the growth overall, while giving the individual OMM the freedom to earn as a business and to improve their lifestyle, it all adds up to local and global economic growth. OMMs use Cloudfunds in strategies to compete in OutSell, which automatically attracts free Direct Foreign Digital Capital Investment - DFDCI to a Seller's local economy, which is played out on the Global Open Market Trade Xchange - GOMTX. 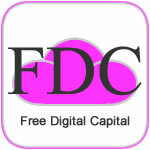 The scale in which Users can collect FDC is by taking advantage of the Subliminal Organic Advertising - SOA. Free Digital Capital - it's the Internet's 'free working capital', it's free to collect, has no interest or fees, and never needs to be paid back, ever! The paradigm shift with Cloudfunding and Free Digital Capital is to operate and be governed within post economic activity and productivity value, whereas Modern Banking operates within pre economic activity with credit and is not governed or constrained by actual productivity - Cloudfunding operates on a global scale with true resources to drive global economic growth without incurring debt. ComTech disrupts the global financing system by validating the advertising value in commerce, providing the Cloudfunding environment with free working capital - Free Digital Capital for the Digital Era. So FDC can't be controlled or leveraged it applies The Placebo Effect - secured by an untouchable Actual Balance. Advertising dynamics are part of commerce, therefore it's a part of the value that flows along in the commerce cycle - that advertising value is normally able to be quantified in traditional commerce as a budget percentage or percentage of a products value. - traditional advertising leaves the seller blind in trying to correlate sales with the cost of the campaign. - ComTech disrupts advertising by quantifying how many units are to be sold, it could be 1 car or 10,000 pizzas, it targets every single unit to ensure that each is sold at the full selling price - it makes advertising accountable. ComTech quantifies and shares out each unit's full value as Cloudfunds - every earned share of Cloudfunds is tracked and validated at the POS when each product or service is paid for using Pay It Forward - it conquers the barriers with Offline and Online Commerce - O2O - by seamlessly intertwining Free Digital Capital with Digital Cash. Cloudfunding is an autonomous cloud-based ecosystem platform that commodifies and validates the dynamics of Digital Advertising into an economic value - paid Digital Advertising has proven to have a commercial value as a revenue source and a stream of gold for the early players of the Internet - Cloudfunding reverses the role played out in paid advertising, and instead of a Seller paying for the exposure of products or services, that display action is commodified and validated as an asset class value of exchange, and released for free to global users to collect as free working capital - which directly guarantees sales of products and services at the full selling prices for the Sellers, free of costs. Cloudfunding disrupts Commerce's marketing dynamics by exponentially and perpetually commodifying the Digital Advertising's mechanics on a global scale, using algorithmic fractional economics - this new digital asset class value is reverse-engineered as a friction-free neutral trading unit of account that's distributed globally and ubiquitously, and seamlessly tracked internationally as free working capital - and appropriately termed as Free Digital Capital - it solves the conundrum of the missing economic infrastructure value backing the New Digital Economy - the 4th Industrial Revolution now has its own autonomous, debt free and ubiquitous river of gold that's freely distributed to the global crowd - it will democratically generate a sustainable binary value governed by true productivity to help drive the world's economic growth in the 21st Century - it ensures the promise of the world wide web is delivered . . that everyone be included in the Digital Age. The New Economy is the digitization and democratization of the commercial flow of value through Global Trade and Commerce using digital technology to track a neutral international units of account, which in some way is the digitizing of what the IMF have tried with SDR - SDR is a restricted Special Drawing Rights value - a foreign-reserve currency also termed as XDR, which is created like quantitative easing but without printing money or have any true backing - its objective has been to replace gold and US Dollars - its role is for IMF member countries to draw down the SDR at various costs so it can be exchanged between trading countries to balance trade surpluses and deficits. Cloudfunds are freely earned on a mobile and on a desktop, just by viewing QwickPics - it doesn't need to be paid back, ever! It changes the advertising model that spins around the world charging businesses a vast amount of money to spread blind messages about products to the masses - a big effort of over-spending a lot of resources just for a few sales. Instead Cloudfunding spreads the value of products and services with the masses with QwickPics, as Free Digital Capital, a simple direct way of incentivizing and raising demand that gets real time sales - and makes advertising free. The platform doesn't follow the typical add on model that sticks advertising everywhere, instead it sits in its own environment where people go to to re-charge and add to their working capital accounts - then go back to whatever they were doing. - now people can operate in real time with financial tools linked to productivity cycles built for a Scalable Digital Economy. Businesses now have a Digital Sales Division merging free digital financing and marketing dedicated to Digital Commerce. 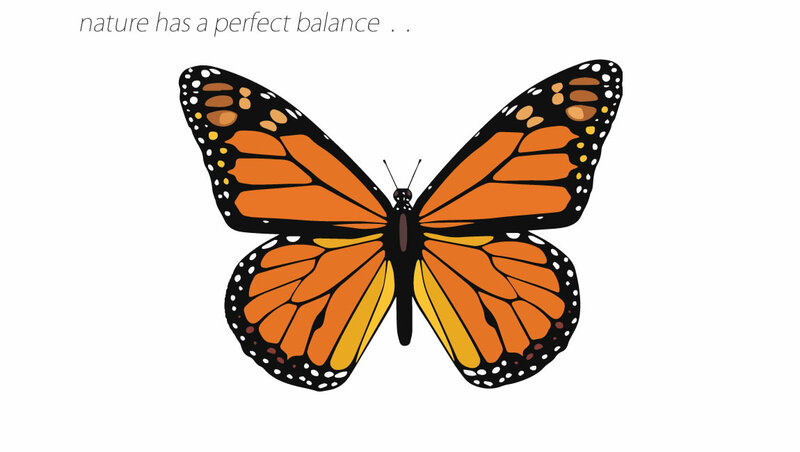 Cloudfunds have a unique backend structure that allows the continuous and unobstructed activity by a User in how they use the Cloudfunds - in behind the Cloudfund account values is a hidden parallel balance that functions like The Placebo Effect. - it all happens without the User knowing, it's a real time financial report that works for the benefit of the User. . . it's free to earn, has no costs, and never needs to be paid back, ever! Seller to QwickPic : A seller can list any quantity of products and services for free. QwickPic to OMM : Products and services are displayed in QwickPics images that are viewed by OMMs who earn a small percentage of the full value of the items listed. OMM to Cloudfunds : Every QwickPic viewed is validated as it 'flows' through an OMM's device, before adding Cloudfunds to the OMM's account. Cloudfunds to QPay : Cloudfunds earned and validated can be spent using QPay on 'content' related products and services listed. Cloudfunds to QwickBids : Cloudfunds are able to be 'spent' in strategies to win products and services listed in QwickBids. Cloudfunds to QwickFlip : Cloudfunds can also be 'spent' in strategies to win 'Used' products listed in QwickFlip the same as with QwickBids. QwickBids to QwickPay : When OMMs or any local bid winner on QwickBids earn the platform's trading currency called UDC, which added to the QwickPay accounts for both winners and sellers. QwickPay to Buyer : Buyers have QwickPay accounts to fund, collect and spend UDC with Sellers.